Martin O’Neill’s five-year term as manager of the Republic Of Ireland has ended. Mick McCarthy is the front-runner in the race to replace Martin O'Neill as Republic of Ireland manager after his five-year reign came to an abrupt close. O'Neill, assistant Roy Keane and their staff parted company with the Football Association of Ireland on Wednesday after its chief executive John Delaney had held talks with the 66-year-old in London on Tuesday evening. The split had looked increasingly inevitable after a poor Nations League campaign which drew to a close with Monday night's 0-0 draw with Denmark in Aarhus, during which Ireland failed to muster a single shot on target. 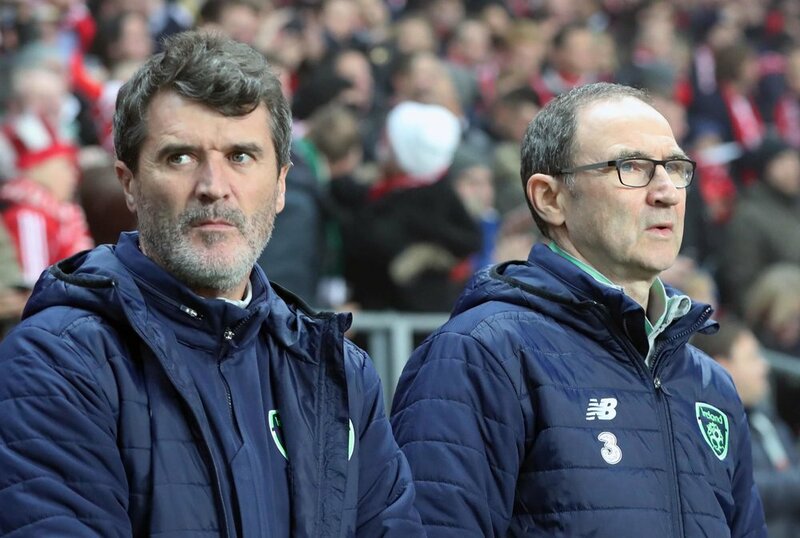 In a statement released on his behalf by the League Manager's Association, O'Neill said: "I have had the great honour of managing the Republic of Ireland national football team for the past five years and it is with a heavy heart that I leave this role. "It was one of my lifetime ambitions to take charge of the Irish senior squad and I would like to thank the FAI board for giving me that opportunity." He continued: "Knowing that the past year would be a transitional phase for the squad, I have capped twelve new players in the last nine games, with the aim that they become significant international contributors in the coming campaign. "To the players, I reserve great praise and admiration for the phenomenal commitment they have shown whilst wearing the Irish shirt." O'Neill's departure from a contract which was due to expire after his side's involvement in Euro 2020 was confirmed in a statement from the FAI. It read: "The board of the Football Association of Ireland have mutually agreed with Martin O'Neill to part company. "The FAI board will meet promptly to discuss the process of recruiting a new manager." Delaney was thrilled to unveil his "dream team" management duo in November 2013 and his faith in the pair was initially rewarded when they guided the Republic to the Euro 2016 finals and then to the play-offs for this summer's World Cup. Delaney said: "I would like to thank Martin, Roy, and the management team for the impact that they had with the Ireland team. I wish Martin, and the management team, the very best for the future." 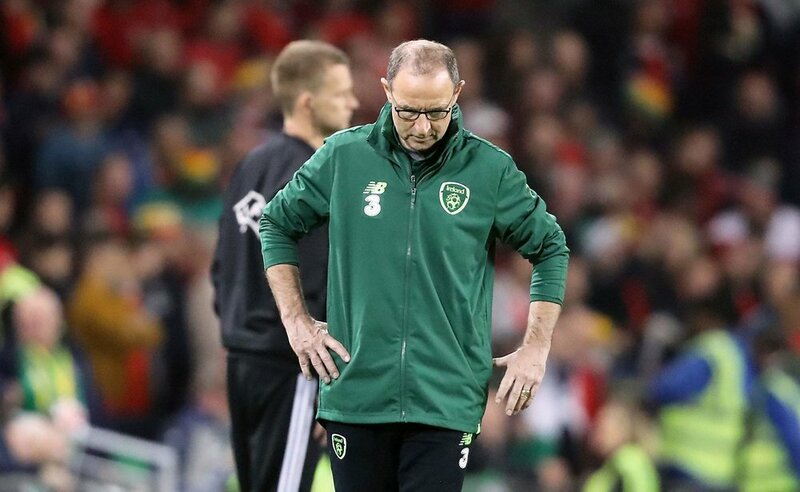 Poor results - Ireland have won just one of their last 11 games and have not scored in 397 minutes of football - and uninspiring performances in the last year have seen O'Neill and Keane's stock fall alarmingly. And the boos which greeted the final whistle in last Thursday evening's 0-0 friendly draw with Northern Ireland at a sparsely-populated Aviva Stadium are understood to have brought matters to a head. Roy Keane also leaves his job as assistant manager to Martin O’Neill. The FAI is keen to make a swift appointment, with the draw for the Euro 2020 finals due to take place in Dublin on December 2, and, as one of the hosts, they do not want to be seen as presiding over a team in flux as Europe's great and good arrive in the city. To that end, McCarthy, who took the Republic to the 2002 World Cup finals in the Far East during a previous spell in charge, represents an attractive proposition. He has a proven track record, already has a relationship with the FAI hierarchy and, perhaps more importantly to a governing body still paying for the redevelopment of the Aviva Stadium, is available without the need to pay compensation after leaving Ipswich in April. McCarthy is understood to be interested in the vacancy and would relish the opportunity to pick up the reins he surrendered in 2002 once again, although he has recently rejected approaches from two English clubs and remains in demand. But, asked in 2016 if he could return to the Ireland job one day, he told the Irish Examiner: "If there's no manager in it and I'm out of work and someone asked me to do it, of course I'd do it." McCarthy is by no means the only candidate, with Celtic manager Brendan Rodgers and Hibernian counterpart Neil Lennon having also been mentioned in dispatches, while Brighton boss Chris Hughton and Dundalk's Stephen Kenny would have popular support, although Hughton in particular appears more than content where he is. O'Neill's departure may not have come as too much of a surprise, although he had grown increasingly defiant amid a tide of criticism. Speaking after last month's 1-0 home defeat by Wales, which all but confirmed the Republic's relegation from Nations League B, the former Celtic manager insisted they would qualify for the Euro 2020 finals. Asked why he was so optimistic, he replied: "Because I'm good."